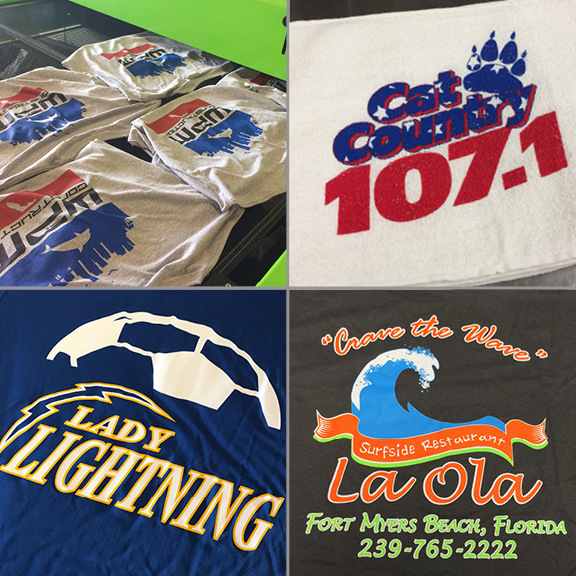 When you are looking for screen printing services in Cape Coral, entrust in the friendly, professional staff at Hi-Def Printing. 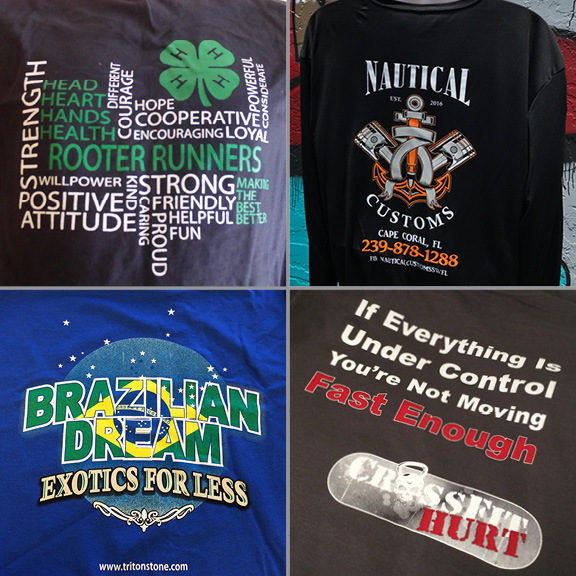 Hi-Def Printing is your one stop shop for all of your screen printing needs. 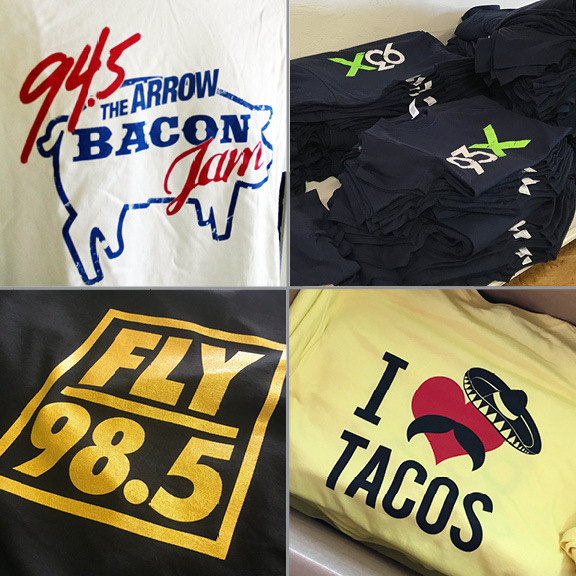 From t-shirts, polos and uniforms to canvas totes, jackets and beyond, Hi-Def is the place to call. 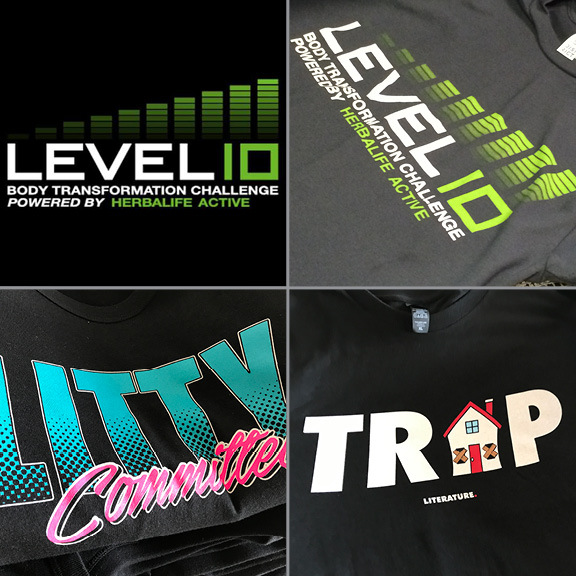 At Hi-Def Printing, our creative design services are an integral part of what makes your experience with us an exceptional one. 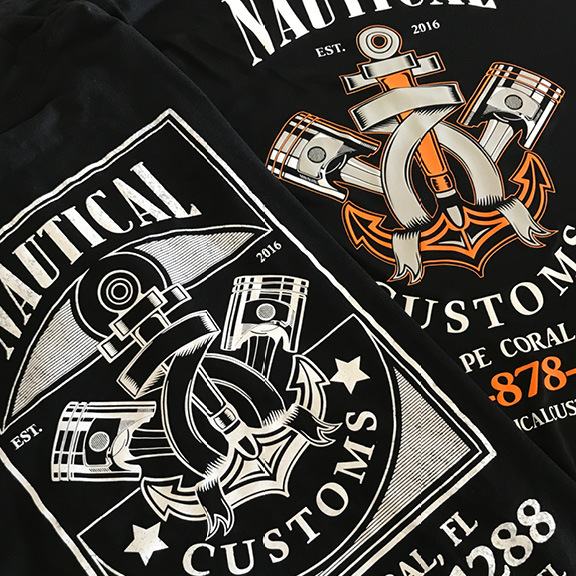 With over 125 years of combined experience in the field, our staff is second to none when it comes to custom design and screen printing services. 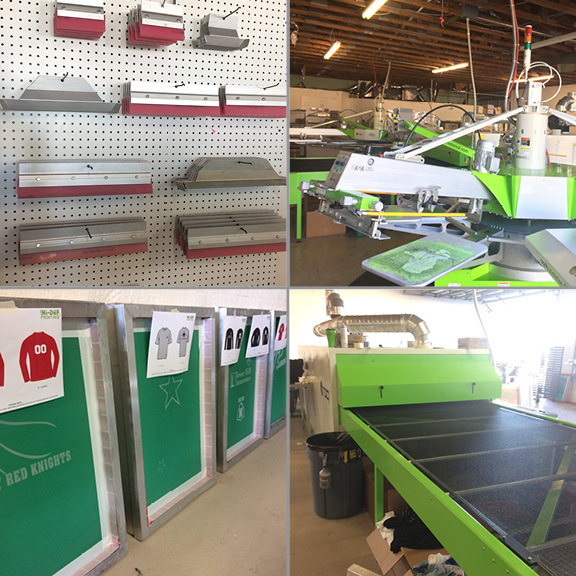 Not only do we have the knowledge and tools to make your next project a success, Hi-Def Printing is an industry leader constantly on top of the market with ongoing research, training and professional interaction to make your experience with us the best in the area. 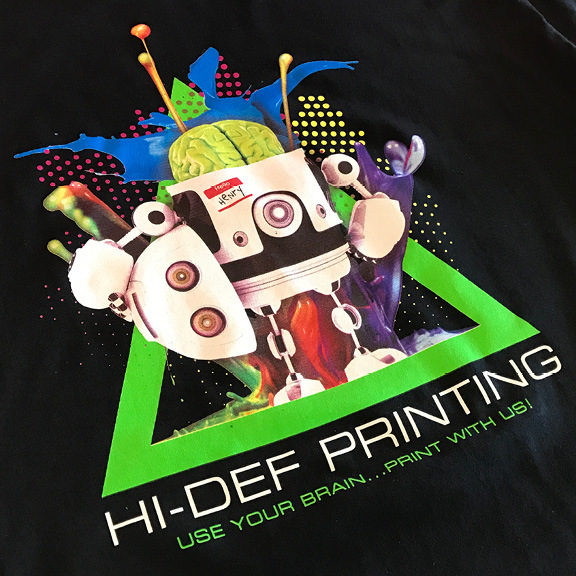 At Hi-Def Printing we set ourselves apart from the competition by providing exceptional and personalized service while also offering competitive pricing with the best possible quality and speedy turnaround times. 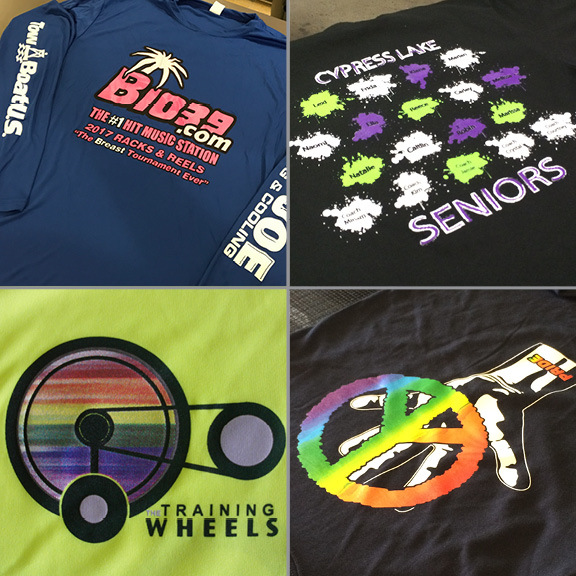 Hi-Def Printing has the capability to handle any size job, on time while keeping your budget in mind. We are also the only shop in South Florida to offer inline foil. Adidas • Nike • Under Armor • Columbia • Bella & Canvas • Next Level • Van Heusen • Ogio • Eddie Bauer & more! 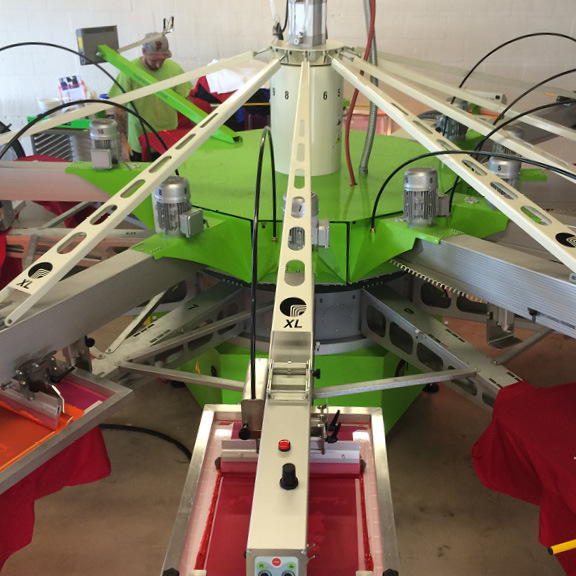 Can You Just Screen Print on Clothing? Absolutely not! 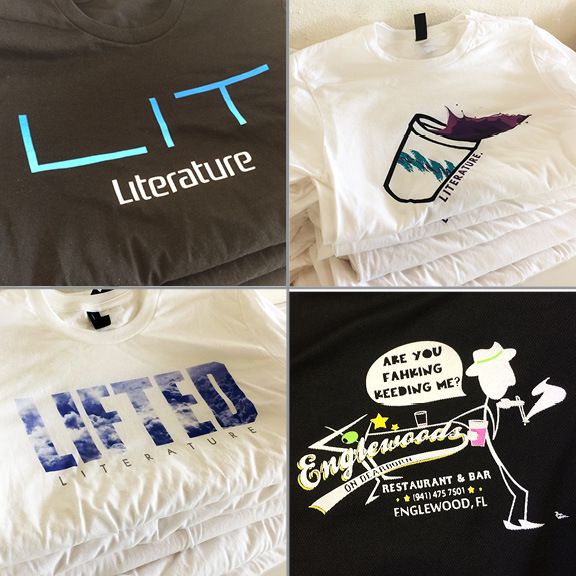 We offer a variety of print mediums from traditional to unique. 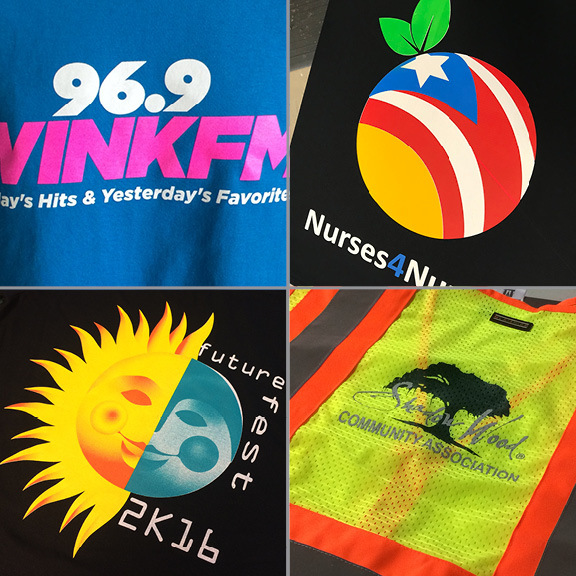 We can print on virtually any substrate including all textiles such as T-shirts, polo shirts, pants, aprons, hats, uniforms, and jackets as well as on cardboard, corrugated plastic, vinyl and more! What Does Our Customer Base Look Like? Just as we are unique, so are our customers. 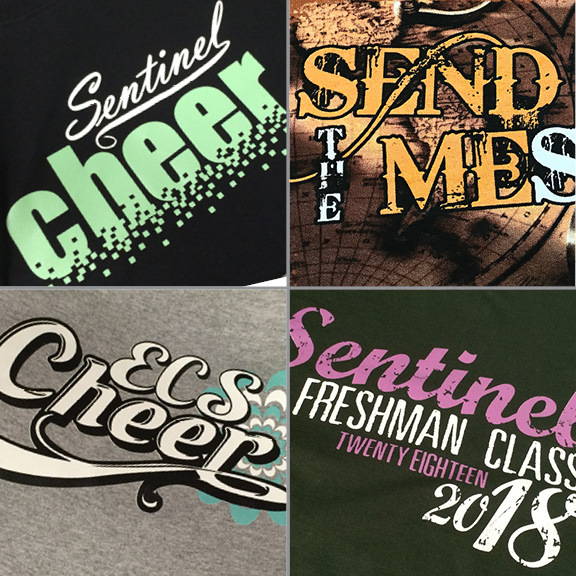 They include sports teams and athletic clubs, elementary/middle/high schools, cheer organizations, sports leagues, family reunions, fashion labels, start-up clothing companies, civic organizations, small to large businesses, institutions as well as designers, marketing agencies and individuals alike – we cater to virtually any market looking for a quality product at a highly competitive price!